Home » Dubious methodologies » Experiencing the past? This page looks at the boundaries of what archaeologists can say about life in the past. Thankfully, archaeology is an ever-expanding discipline, with an ever-increasing set of theories and methods used to say something about the human past. However, we can never get at the past in its totality. The past may be a foreign country but not even Ryan Air offers return flights to an airport twenty miles from the capital of Then. This being so, archaeologists have to make do with the scientific analysis of surviving material remains. We use the various bits of information (housing distribution from site layout, foodstuffs from organic remains, health and fitness from skeletal remains, etc.) to say something about life in the past. Can we really experience this past by somehow travelling back in time? The answer is a resounding: No. Metageum: Exploring the Megalithic Mind. In November 2007, an extraordinary gathering of archaeologists, artists, storytellers, healers and various others took place in Malta. It was called Metageum. 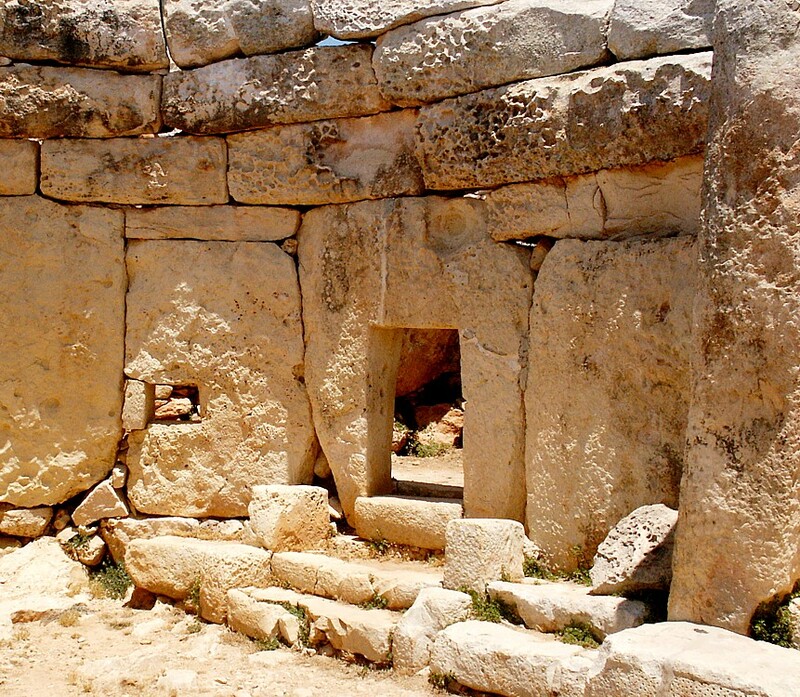 The small island of Malta, tucked away in the Mediterranean off the south coast of Sicily, is home to an amazing range of neolithic temples. It is a worthy setting for any archaeological conference, and these sites rightly evoke much inquiry and a sense of wonder. Something quite special was going on in late prehistory in Malta to create these uniquely wonderful sites. These have attracted a great deal of archaeological research but also large numbers of Pagans and ragbag spiritualists seeking to extract meaning from these sites of ancient significance. The aim of this meeting was to explore the megalithic mind. It took an interdisciplinary approach (a term much-touted though rarely practiced in contemporary archaeology) to the problem of understanding exactly what it was like to experience, think, and feel like somebody some 4000 years ago. It is well worth exploring the website at length because there is such a diverse collection of people and ideas represented there. Bear in mind that (though it is meant for medical websites) www.metageum.org scores 6 Canards when subjected to the Quackometer. The Convention for Comfortable conventions. are directed at and populated by a North American audience. Other such conferences of this nature include the 11th Hr Convention, CPAK, etc. However, Metageum is something slightly different, it does invite some academic rigour to support the usual cabal of mystics, and independent scholars under the banner of exploring the megalithic mind. In the early 1970s, when experimental archaeology was beginning to assert itself as an area of archaeological inquiry, John Coles and Peter Reynolds (two prophets of British experimental archaeology) were already well-aware of the its limitations as a methodology. Experimental archaeology could tell us what it was like to build an Iron Age roundhouse, what materials were required, how many people were needed and how long it took to build. Once it was built it could offer insights like how warm it was and whether or not the central hearth filled the interior with choking levels of smoke. What experimental archaeology did not tell you was what it was like to live in Iron Age Britain. It could only tell you what it was like to live as a modern person living like an Iron Age Briton. We cannot shake off the contemporary nature of the experience. 21st century medicine, technology and social customs are inevitably omnipresent when attempting to experience the past. Our make-believe Roman vicus may not be blessed with a distant outpost of Ronaldus MacDonaldus yet we know what a cheeseburger and a milkshake tastes like. We are therefore well-aware what plastic is (and also what it tastes like). Such knowledge was completely alien to any second-century Briton. This tiny aspect of human existence merely shows the way in which the contemporary world comes bounding in like an uninvited guest to any experimental archaeology project. Ideal though it may seem, denying the presence of the present is intellectually dishonest. Experiential archaeology may be a more honest way of describing an attempt to access the past human existence. To live like an Iron Age community is more than simply playing dressing-up. We can discover what it was like to spend days without shelter and the feeling of elation when you bag a deer or two, butcher the animals and sit by the fire sating our primeval bloodlust. Vegetarians can roast their nuts of course. All this experiment and experience can only tell you so much about the past. Assumptions of uniformitarianism apply to the study of archaeology. The human experience of the past is also laden with these assumptions (for example, that we sense temperature and hunger the same way as people in the past). If uniformitarianism doesn’t apply then we can only describe our uniquely 21st century sense of the world. Whatever the likelihood of such assumptions holding true we never actually think or feel the same things as, say, a Medieval archer or Bronze Age farmsteader. One aspect of the Metageum conference which warrants further explanation is the way in which psychoactive drugs were used in antiquity. This is a highly active (and actively high?) area of scholarly inquiry. Residue analysis of ceramics (for example) suggest the common use of hallucinogenic drugs in antiquity. This should come as no surprise given the almost universal human instinct for self-intoxication. Whatever the church, school or police try and tell you, human beings have always had an appetite to chemically escape this world, if only for a few hours. However, many speakers at Metageum go further than identifying archaeological evidence for drug-use. Some seem to suggest that the past can actually be accessed by means of chemical enhancement. Sensory archaeology – sound, smell, touch and taste. In recent years there has been an awakening of research into the sensory aspects of archaeological sites, monuments and landscapes. So much archaeological interpretation is conducted by visual means. We describe in text and images what sites may have looked like in the past. We study ceramic types, iconography, climatic changes, all of which are rendered into visual representations in order to be analysed and communicated to others. Inadvertently, this has neglected the remaining senses in archaeological interpretation. 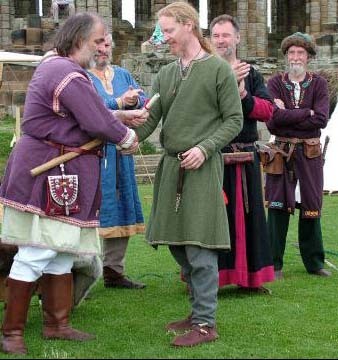 Viking-Age smells and tastes might be difficult to get at (though any visitor to Yorvik may take issue with that) but touch and sound have proven more fruitful avenues for archaeological interpretation. However, again we encounter the limitation that banging drums inside caves or describing the touch of monumental stones is an exercise locked into the contemporary world. When we experience places like Stonehenge, Giza or West Kennet, we are experiencing 21st Century, contemporary places. They just happen to be very old. Discussions of phenomenology will have to wait for another day but bear in mind that there are serious attempts at research which does make the pretence of saying something meaningful of past human experience derived from actions played out by 21st Century humans. I fired enquiring emails in the direction of UK based participants who appeared at Metageum in the guise of academic archaeologists to canvas what they thought of the entire thing. I received some very helpful correspondence and the archaeologists’ reports were generally positive. I get the impression that (on the whole) any tension between good and bad archaeologists was avoided thanks to a clear demarcation between the archaeologists and the others. Despite some moments of critical interaction between opposing viewpoints, it seems that the various divergent ways of looking at the past operated as Non-Overlapping Magisteria (or NOMA). NOMA is a term devised by (the late great) Stephen Jay Gould to reconcile the conflicting world views derived from either science or religion. Science can tell you about how life began on earth but not what it means to live a good one. One is the legitimate domain of science, the other of religion. Trouble arises when one interferes in the other’s territory. It seems that a correspondingly happy, if slightly unsatisfactory, compromise also occurred at Metageum. Archaeologists talked about what they knew best and offered potential interpretations of the amazing Neolithic sites in Malta. Those offering explanations via Atlantis, or being able to experience past human psyche through pharmaceutical assistance did not trouble the domain of archaeology. No doubt that some fresh ideas were sparked by this interdisciplinary gathering. This is always something to be encouraged. I was disappointed not to be able to attend as perhaps Metageum could have been woken from its NOMA coma. To me, this demarcation between archaeologists and others seems a shame since we are all talking about the same thing: past human existence. 6 Responses to Experiencing the past? 2) I have no formal training in archaeology (ok, a single first year general overview course). I don’t hold any degrees. I have however been working with living history programming (Parks Canada, L’Anse aux Meadows NHSC) for about 20 years. I am a working artisan with a keen interest in historic metalworking. So – I *am* interested in your opinion on the work of what best should be called ‘dedicated amateurs’ when it comes to what might be described as either ‘experimental’ or maybe better ‘experiential’ archaeology. Being attempts to take historic *type* materials and tools, then try to make them work together to create objects which closely resemble historic artifacts. I see so many big problems with the interface between academic research and practical artisans. I do maintain that those of us attempting serious discovery (or re-invention!) *are* in a position to add at least some useful observations. How to bridge the gap? There is a big topic of conversation here! There is a lot of room for dialogue between academics and practical recreators (don’t think of yourself as an “amateur” when you’re working with a Living History programme!). I don’t know how things work in Canada, but in the UK, there is a good working relationship between the two. I help support a local Iron Age recreator group run by a couple of non-archaeologists who nevertheless go to great lengths to ensure that what they do is justified by discoveries and who hope to feed back into how academics understand Iron Age farms. What you need to do is to try to make links with academic institutions. Get a lecturer or a graduate student interested in your work; collaborate with them on a project; publish your results in both academic and popular publications. A great many new discoveries and interpretations are made by people outside the archaeological profession, so don’t be put off by what may seem an unbridgeable gap. What experimental archaeology did not tell you was what it was like to live in Iron Age Britain. It could only tell you what it was like to live as a modern person living like an Iron Age Briton. I would not fully agree with this statment. In the early 1970’s I was a member of the costumed staff and Old Sturbridge Village Museum in Sturbridge Massachusetts. We were attempting to operate a New England upland farm as it would have run c.1810. This was an 8 hour a day job, we went back to the 20th century for supper and TV. etc. It did not project us back into the 19th century. But what it do was strip away the romanticisim from life in the early 19th century. We were cold, hot, wet, often uncomfortable, mussels hurt, we were often fatigued, the food (we were producing enough to feed us one meal a day) was not up to modern culinary standards. The modern age never looked so good as it did at the end of the day. Also we gained an appreciation to just how much effort our forbearers had make to produce what to our eyes was an inadaquate statndard of living, and we were not up to their standard, we were only making one meal a day. These sorts of experiences are comparative, they tell us more about the present than the past, which is useful knowledge. Your point is well taken that we can never experience the past as the past was lived, however, I find it odd that you’ve chosen to list “experiential archaeology” under the header of “Dubious Methodologies.” As I assume you know, there is a widely respected discourse on the power of phenomenological approaches to interpretation, not just in archaeology but in most disciplines (even biology and physics). This has been in existence since at least the early 20th c. philosopher Edmund Husserl, but refined in more recent years by the well-respected anthropologist Tim Ingold. I am not going to try to hide my bias here as I am particularly interested in these approaches as challenges to traditional empiricism which has dominated archaeology until the advent of post-processualism. That is perhaps the most perplexing aspect of your labelling this approach as “dubious” as in a way postprocessualism has paved the way for Julian Thomas and Chris Tilley to consider phenomenology in their approaches (albeit in quite contrasting ways). I would agree that Tilley’s approach is hyper-subjective and presentist, but that is precisely his point. Objectivity in archaeology, or anywhere, is an intellectual illusion regardless of how holistic an approach you take. Tilley’s phenomenology is meant to be an attempt at performing an artistic interpretation of monumental narrative. Even though most disagree with such an approach, myself included, it deserves far more respect than associating it with the other (indeed) “Dubious Methodology” of Psychic Archaeology. Thomas’ approach phenomenology has gained major support and likewise phenomenology has been a cornerstone of 3rd Wave feminist approaches to Gender Archaeology through the utilization of Judith Bulter’s theories of performance alongside Maurice Merleau-Ponty’s work on phenomenology of perception through the body. Thus there has been much gained from at least considering the power of the body, senses, and emotion in interpreting data and there is still much lively discourse in academic publications; especially as archaeology begins to mesh itself with other disciplines as the field has grown to become at its most inter-disciplinary point in recent years. With that criticism aside, I should say I have a lot of respect for the “badarchaeology” project and you guys run a great blog. It is a true service to have theory summarized so clearly and succinctly for public consumption – which is the single most important objective of archaeology in my opinion – making the past clear to the present. I would just hope that a bit more attention would be paid to the well-respected phenomenological school before it gets written off as dubious, as its association with archaeologies that (rightfully) aren’t taken seriously create for an unfortunate misunderstanding of the objectives of this approach. “Phenomenology” in Archaeology puts a heavy weight of jargon and theory on what, in many other sciences, would just be common-sense: experienced field workers in, say, paleontology, always take stock of “the lay of the land”, and the best work is done by people who can evaluate a landscape, play hunches, and recreate a past invironment in their imagination. However, they don’t feel compelled to quote German philosophers when they do this. And in the long run, the bones tell the story and guesses and hunches are understood to be guesses and hunches. In ornithology, “amateurs” have always been on the same team as “professionals”. If a knowledgeable birder tells you they expect to make a sighting in such-and-such an environment, weather, or time, it’s because of integrated and cummulative experience…. nothing mystical about it. Some of what I’ve read of “phenomenological” archaeology fits this pattern, but, unfortunately, a good deal of it seems to be self-delusion protected by jargon. Often, I’ve found myself giggling over an article that presents nothing more than someone finding what they want to find because they know ahead of time what they are supposed to find, because they read reports by others who found what they wanted to find.